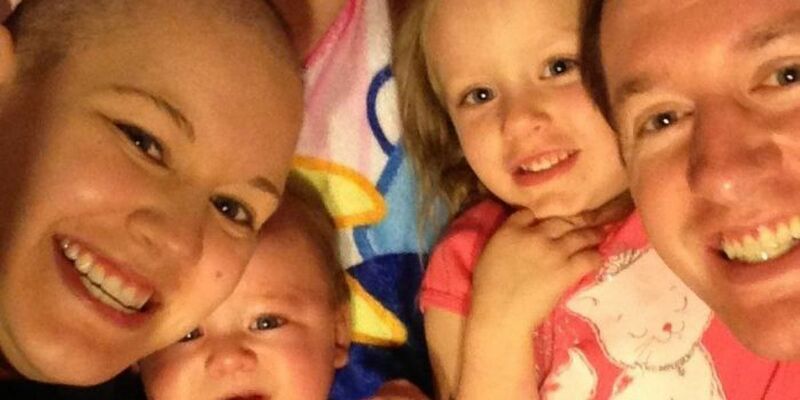 FLINT, TX (KLTV) - An East Texas family of four, facing battles with cancer, seizures, and a rare heart condition, has experienced a turbulent twelve months. Now, they're sharing their inspiration with others, hoping to give families the courage to lean on God in a time of crisis. In May 2014, about 20 weeks into their pregnancy, Jeff and Diana Hill, of Flint, were expecting a sonogram to reveal the gender of their baby. Instead, it uncovered a serious concern, Hypoplastic Left Heart Syndrome, or HLHS. Ironically, Diana was familiar with the condition, having studied it during her schooling as an occupational therapy assistant. "Only half the heart's working, so it has to do twice the amount of work that the normal heart does, so it just eventually wears out." According to the Centers for Disease Control & Prevention, HLHS often requires a number of treatments: medicine, specialized nutrition, surgeries, or a heart transplant. The news came as a shock to their family and friends. "We had a couple of days where we just kind of cried, " Diana said. "Then after that, we were just like there's nothing we can do about it, except try to make him as healthy and live as long as he can. We just kind of went into survival mode." They turned to the internet for advice. "There are no answers, you know, when something like this happens," Jeff said. "Throughout this we stayed cautiously optimistic. That's how we've lived the past year, just cautiously optimistic that everything's going to work out and everything's going to be okay and so far it has." After reading other families' blogs, Jeff's best friend suggested setting up a website, http://masonheartsmiracles.com, to document their journey. "It allows our friends and family to follow along when we don't have time to call everybody and update them all the time," Diana said. "You know, (to) kind of give other people hope, who are looking and doing research when they find out their child has this type of condition or something similar." When Mason arrived in September, doctors at Children's Hospital in Dallas immediately went to work, performing a Norwood Procedure to re-route the infant's aorta. The Hills said the days and weeks of recovery and therapy that followed were an emotional time, while their newborn son was hooked to wires, tubes, and machines. As Jeff and Diana were staying in Dallas and commuting back and forth to Tyler, their friends were busy finding ways to provide support. Fundraisers were planned, a PayPal account was collection donations, and prayer offerings from around the world were arriving daily through their Facebook page. By mid-October, Mason was given the all-clear to go home. Weekly visits to the cardiologist showed he was making steady progress by gaining weight and passing tests and examinations. In February, surgeons recommended he undergo a Glenn Procedure, which the CDC says "reduces the work the right ventricle has to do by allowing blood returning from the body to flow directly to the lungs." The same month, the Hills faced even more medical challenges -- Diana was diagnosed with gestational trophoblastic disease, a fast-spreading uterine cancer. Despite the stunning discovery, she said she never focused on her own struggle from a "why is this happening to us" mentality. "This is what God's given us. He wouldn't give it to us if we couldn't handle it. It kind of helped us, you know. Everybody reaching out to us kind of really showed God is working in all these ways." As Diana started IV chemotherapy, Jeff experienced a seizure the next day. "My alarm went off and I was trying to reach for it to turn it off and I couldn't move my arm," Jeff said. "And I realized that something was wrong and I was trying to call out to Diana that something was wrong, but I couldn't speak. The next thing I know, Diana's on the phone and yelling at me to stay in bed because I'm trying to get up." "I remember when the paramedics put me on the stretcher in our bedroom and then Madi came out of her room. That was just heartbreaking hearing my wife tell her that everything was okay." He said his seizure couldn't have come at a worse time, as doctors restricted his driving for three months. It created a problem for Diana needing transportation for chemo treatment and taking care of Mason and their 3-year-old daughter, Madi. Again, the community, including complete strangers opened their hearts. People they had not heard from in years were offering to drive him to work and cook meals for the family. "It's just proof that there are good people, when you hear about so many bad things on the news, but there really are great people everywhere that will support you," Jeff said. Knowing how many people were rallying around them, they said they were compelled to remain strong for others, as well. Slowly, each of them made improvements: Jeff was cleared by a neurologist, Diana finished chemotherapy, and Mason was well enough to go to daycare. Madi was focused on being a big sister, helping out where she could, even helping to feed her baby brother. Their names remain on prayer lists at congregations across East Texas. "I always tell everybody I can feel the prayers and in how good (Mason) is doing," Diana said. Through all these tests of faith, the Hills say they are stronger and more spiritual. "We see God working miracles every day," Diana said. "(Mason) is our little miracle." Saying prayers over him brought a peace and calm to their family, they said. As they approach their 8th anniversary, Jeff and Diana say they are reminded of how blessed they are. The couple read daily scripture devotionals together and are teaching Madi the importance of prayer. "Madi has a little prayer book that she reads at night," Diana said. "It's a little kid's prayer book and she chooses which prayer she wants every night and we'll read it to her." Diana says Jeff was her rock at the height of her own health problems. "He helped with the kids and he helped me feel not so bad when I started losing my hair. He helped me cut it and my daughter helped me cut it off when it was just in chunks." Jeff finds inspiration when watching Mason. "You can't help but smile when he smiles. He's always in such a good, happy mood. It's just incredible that he's been through so much -- more in his seven months than most people go through in lifetime." In the last year, they've crossed paths with others touched by HLHS, including a woman in her 30s who hasn't needed a heart transplant. The Hills are also connected with groups that run for children with disabilities, including one girl who dedicates her workouts to Mason. Empowered by this support, the Hills are eager to share their spiritual journey with family and friends. "With faith and prayer and everything, you can get through anything," Diana said. "You can have as much happen to you as possible and if you just keep your faith and know that God is there watching over you, that you can get through it." Prayer offerings will be an ongoing request from the Hills, as Mason may need another surgery in 2018. You can learn more about how to help, by visiting http://masonheartsmiracles.com/how-you-can-help/.